This is mighty-fine Cabernet, flush with juicy cherry, berry and plum flavors and a finish that's smooth as caramel. It's from Paso Robles' hometown hero – and she's doing her town proud! With your funding, Sharon got her pick of the best grapes from her favorite family producers – bringing you a dark, rich red full of brambly fruit flavors and great texture. 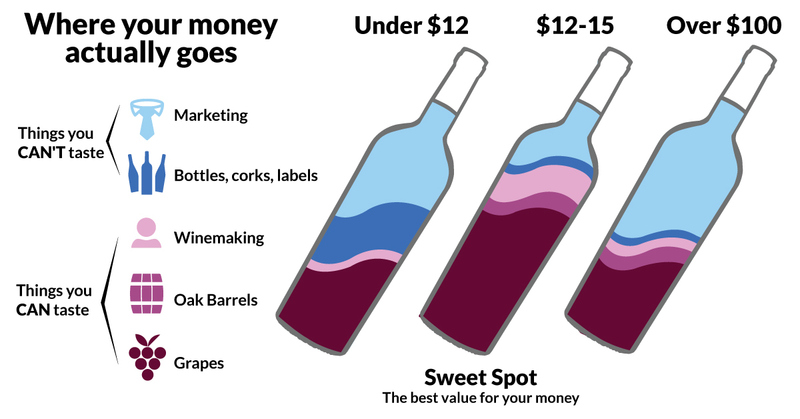 Angel-funded Cabernets sell like hotcakes... and from a trendy region like Paso Robles? Whew! This cat's gonna scramble out the door. This Zin reminds us of a chocolate covered cherry – it's intense, full of creamy fruit filling, and leaves a delicious lingering richness on your tongue. With your funding, Sharon was able to purchase extravagant French Oak – and she aged your decadent red for 9 months in those barrels to give it superior aromatics and flavor. Paso Robles Zinfandel is fully-loaded, super-ripe and one-of-a-kind. And you gave this local winemaker free rein to make the best around! Grab two before everyone discovers just how dee-licious it is. Chase this juicy Cab with a juicy cheeseburger – it's the perfect combo of saucy and rich flavors, toasted oak aromas and a punch of ripe fruit! With your funding, Sharon was able to harvest fruit from several small lots in Lodi, hand-selecting all the flavors that went into this easy drinking, everyday red. If you think it's delicious now, just wait – a richly textured, full-bodied red like Sharon's only gets better with age! Your Syrah is juicy and ripe, full of rich flavors like cherries, plums and wild, brambly blackberries. Deeee-lish! This champion wine hails from the heart of Paso Robles – it’s Sharon’s home base, and a region famous for extreme temperature swings and a long growing season. Paso’s radiant afternoon sun and cooling coastal winds make for full-bodied, ripe reds. ...and it just took an impressive Gold at the 2019 San Francisco Chronicle Wine Competition – give yourself a pat on the back... and a few bottles of this award winner! Lusciously rich Old Vine Zinfandel ready to make your tastebuds dance. This red is oozing with ripe flavors like blackberries, black cherries, and chocolate. Yowza. Because you loved Sharon's Zinfandel from hot and sunny California wine country, she got extra funding to make you another. And it might be hard to believe, but it's full of more wild, full-bodied flavor than the last! Once the word spreads about this special Zinfandel, it'll vanish from the site. Grab a bottle while it's in stock - thank us later! My oh my. With endless layers of jammy boysenberries, blueberries, ripe plums, creamy vanilla and milk chocolate, Sharon’s red is elegant and dramatic all in one go. Don’t be surprised if it makes you plop into an armchair, palm over forehead, and squeak out a little sigh. With your funding, Sharon snagged premium Central Coast grapes – Paso Robles Zinfandel, rich Merlot, bold Syrah and robust Petite Sirah – all for a killer price. This is the perfect dress-up-or-down red. Pair it with anything from smoky BBQ ribs to pan-seared filet to artisan pizza – it won’t disappoint. Oh, sweet heaven. This Pinot ticks all the right boxes. Rich? Check. Fruity? Check. Oh-so-sippable? Check Check. Sharon likens this complex, California-grown red to a warm slice of black cherry pie. It's the perfect balance of rich, creamy and sweet – you'll get something different out of every sip. Now that's what you call complexity and depth! ...and with your support, she makes this scrumptious red for a song. Don't mind us, we'll just be ordering this ravishing Pinot by the caseful – cattoo you later.